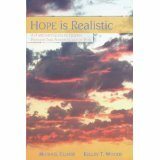 Hope is Realistic! Treating patients with chronic pain just got easier with this guide for physicians. Created by two experienced medical hypnotists who use evidence-based models in their own practices, this book contains practical mind-body approaches to enhance conventional pain management.